Moving to the cloud is a journey, and we’re here to help. From data warehouses to web apps, public cloud deployment to analytics as a service—Tableau gives you the flexibility to leverage existing investments while preparing for your organization’s future. How? We give you choice. The choice of how and where you deploy analytics. 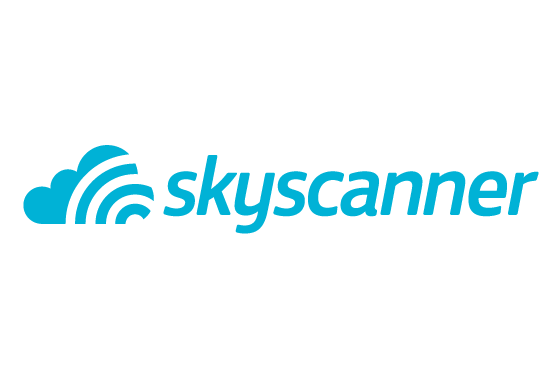 The freedom to analyze any data, regardless of where it resides. And the flexibility to use Tableau with any major cloud platform. Choose analytics as a service with Tableau Online, or deploy on the public cloud with Tableau Server for Amazon Web Services, Microsoft Azure, or Google Cloud Platform. 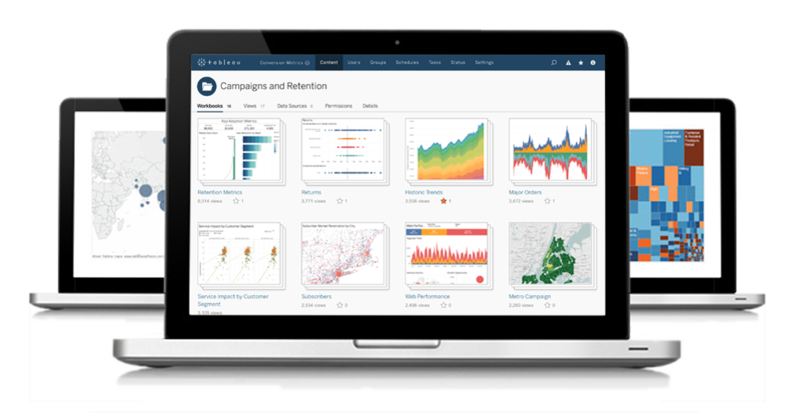 Tableau Online is software as a service, giving you the simplicity of a fully hosted analytics solution. Get started in seconds, and never worry about software upgrades or server capacity. Run Tableau Server on Amazon Web Services, Microsoft Azure, or Google Cloud Platform for full control of your software and unlimited scalability without ever deploying hardware. Need to know which product is right for your organization? 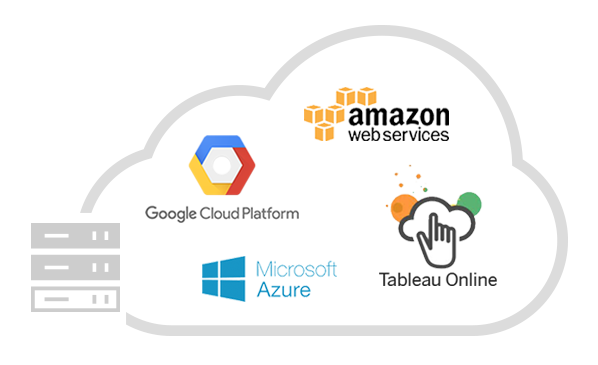 From Redshift to Google Analytics, analyze data from all your favorite cloud services. Or, connect live to nearly any on-premises data source. All 50+ data sources compatible with Tableau Desktop. 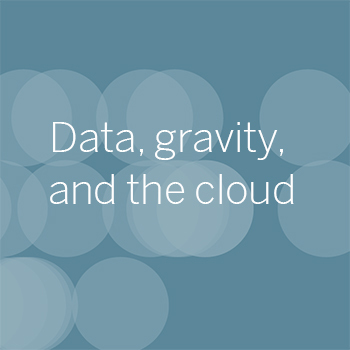 Tableau's cloud solutions are designed to ensure your data and analytics remain secure. From SaaS to public cloud deployment, Tableau scales seamlessly to meet demand. Easily manage your Tableau environment with content permissioning and user controls. Tableau Mobile integrates with your IT infrastructure and supports SAML and Active Directory. See the data on where and how organizations host databases used for analytics. 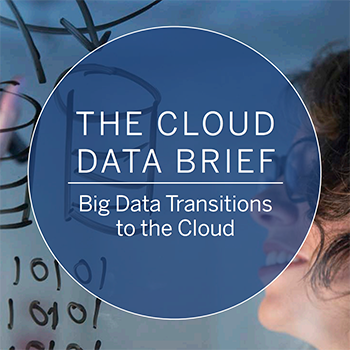 Learn how data’s move to the cloud will affect your organization's analytics. 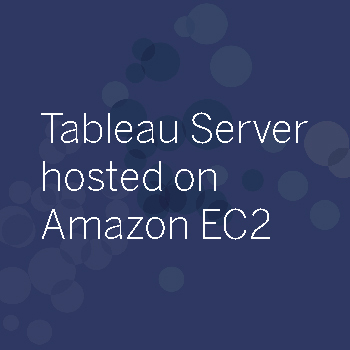 Learn how AWS and Tableau pair to create a comprehensive BI solution for any organization.